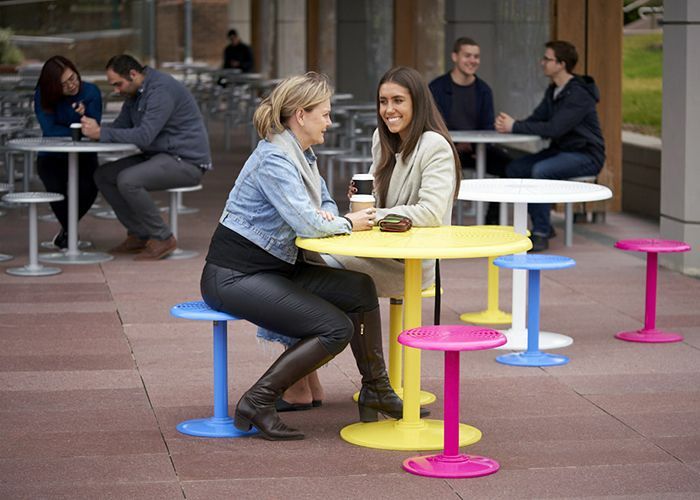 Cafe Round Tables and Stools, powder coated in Bondi Blue, Brilliant Yellow, Telemagenta and Pearl White. 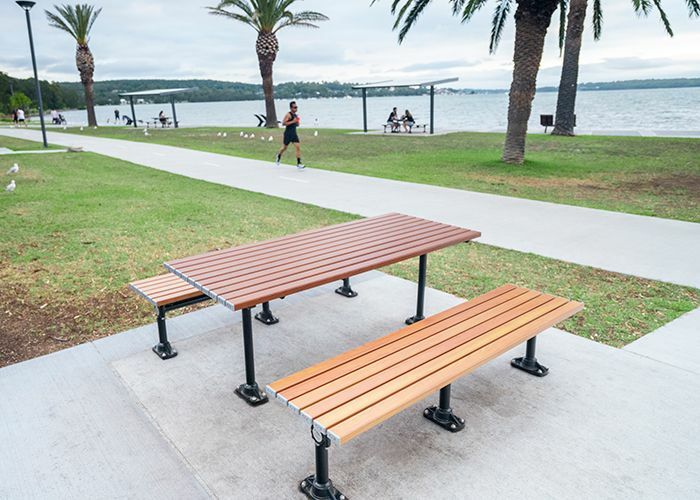 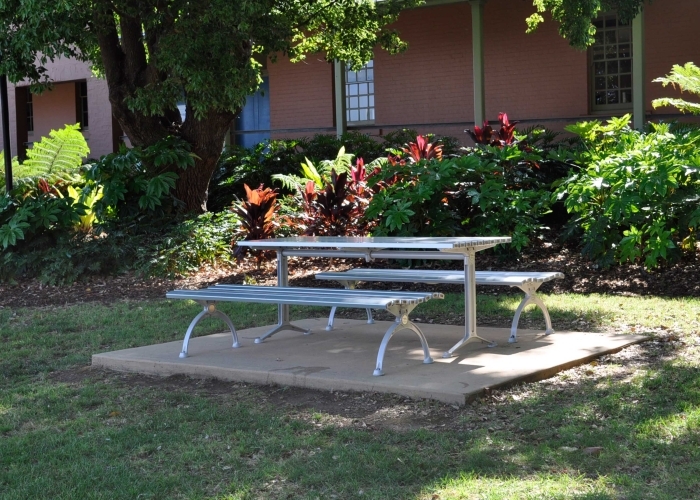 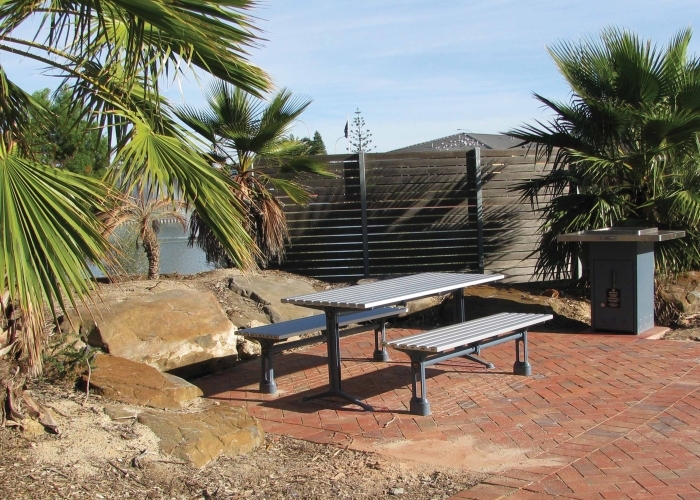 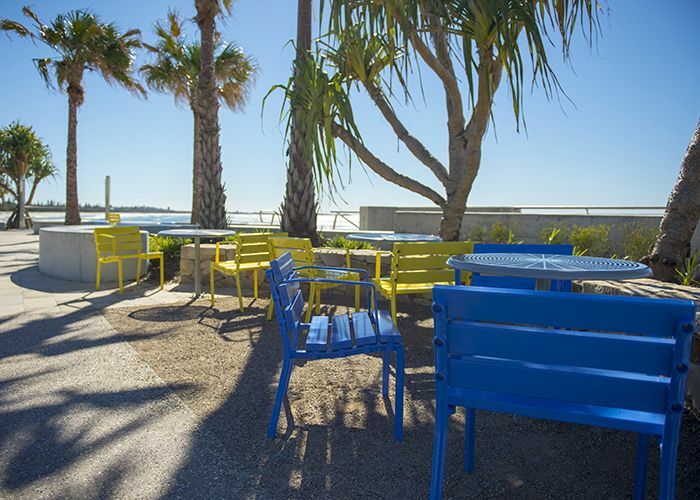 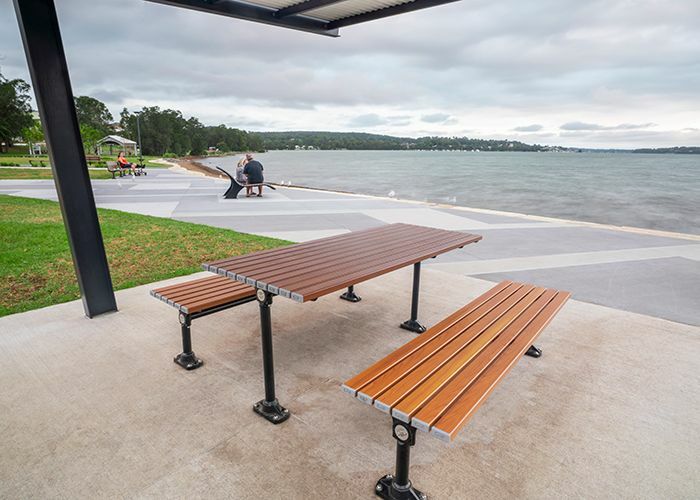 Forum Seats and Cafe Tables at Kingscliff Foreshore. 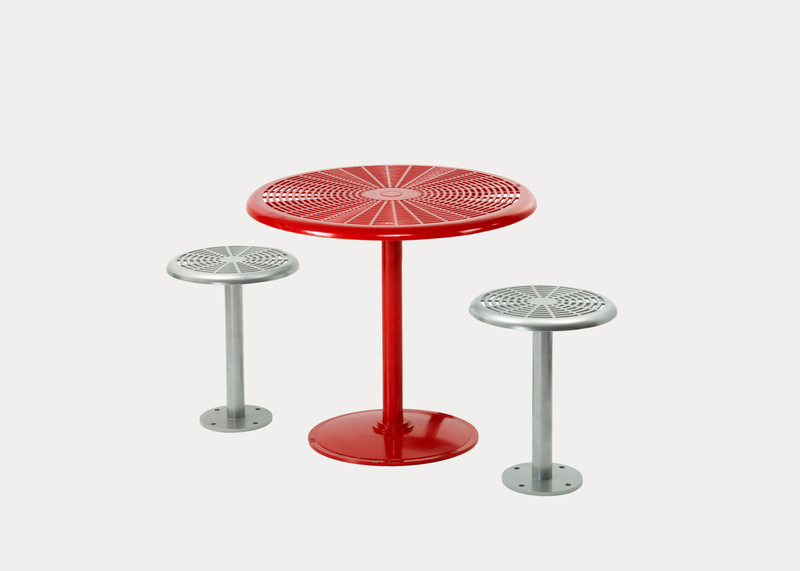 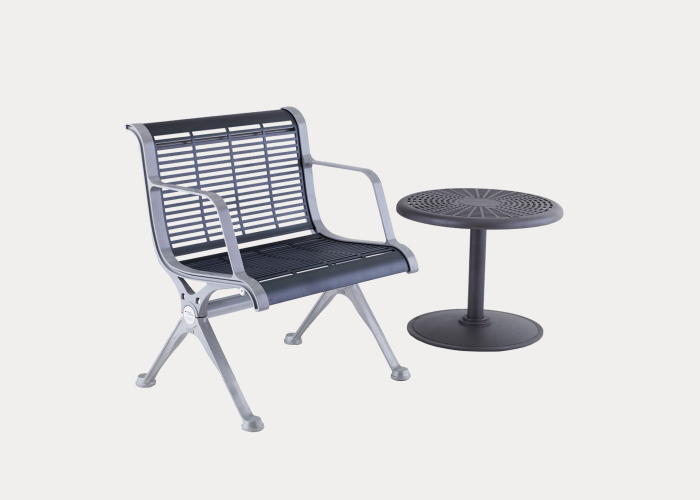 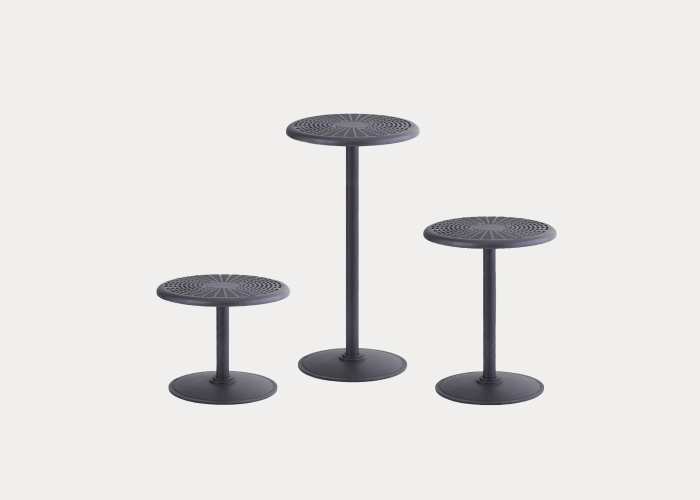 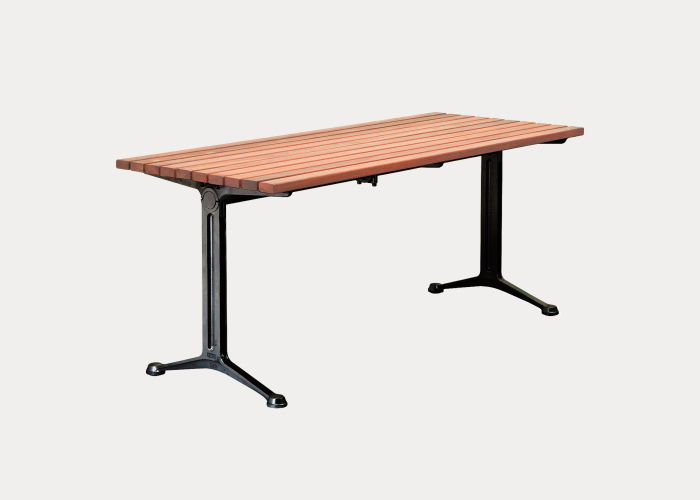 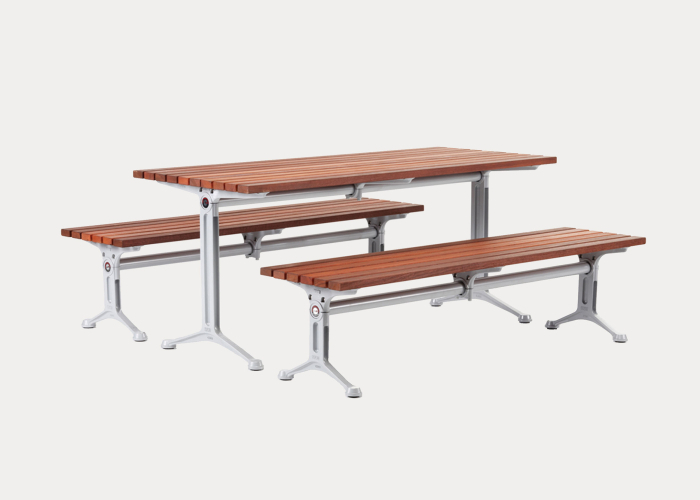 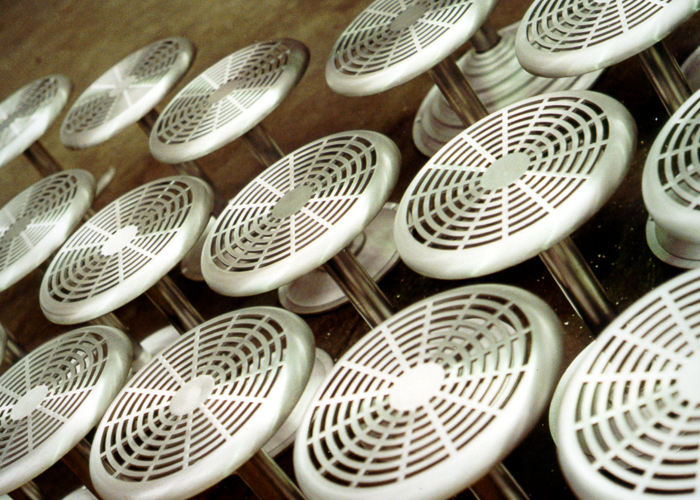 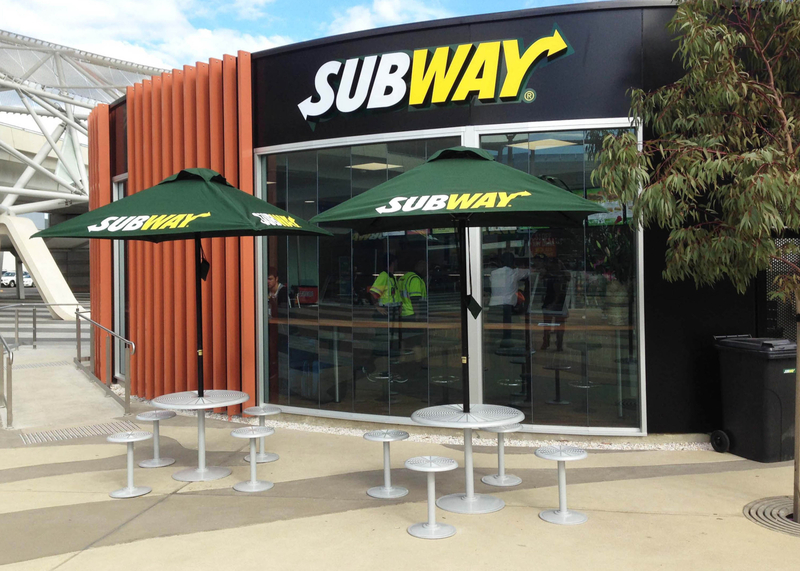 These durable cast aluminium tables with matching stools are perfect for outdoor dining. 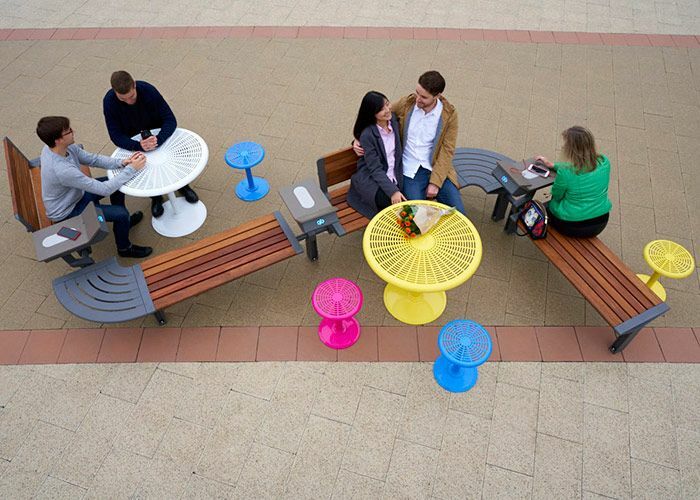 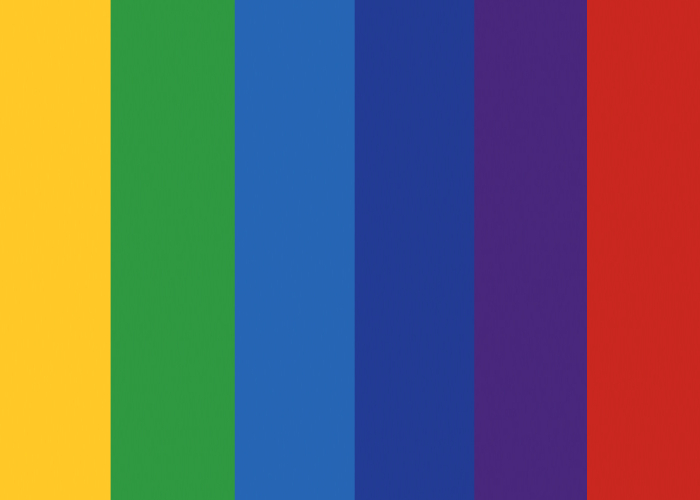 Mix and match different colours for a playful look. 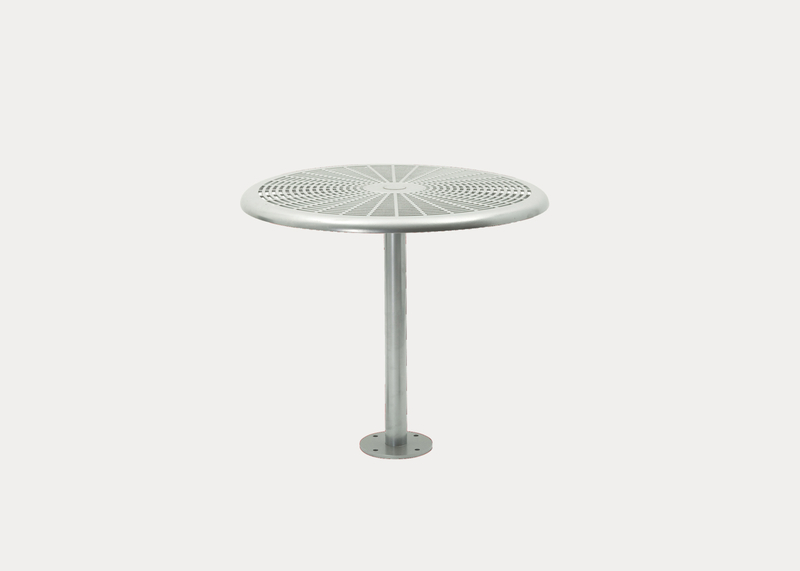 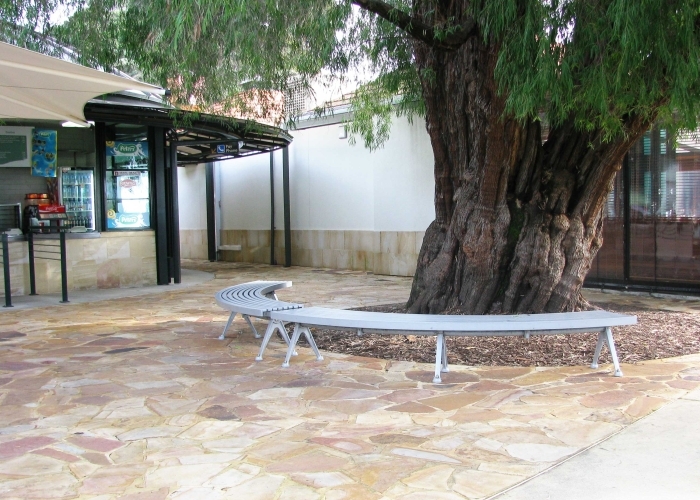 The round table seats up to six people. 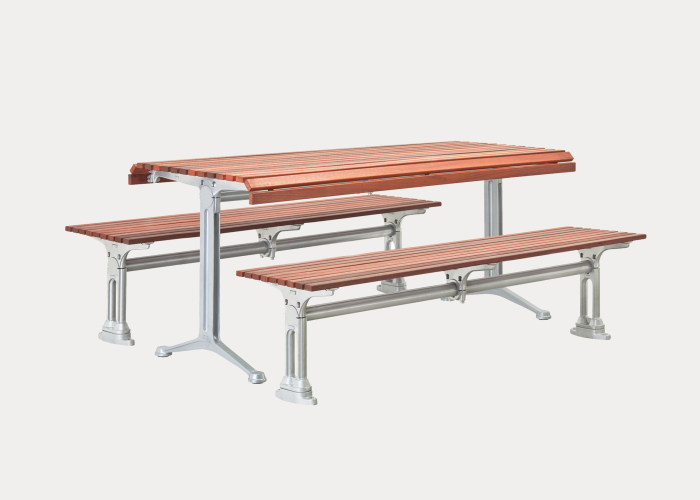 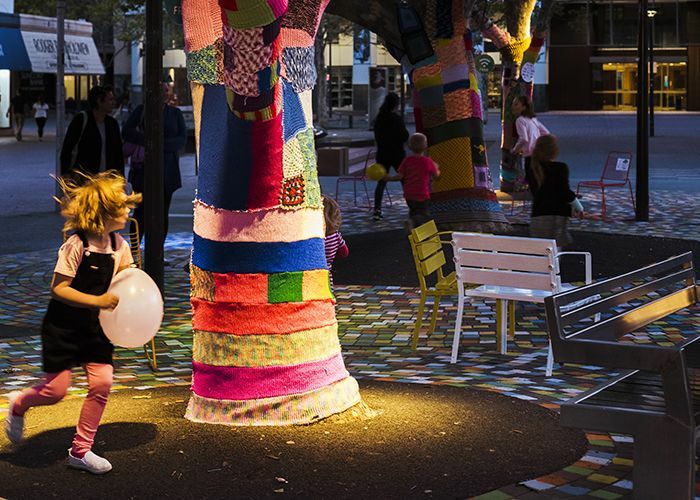 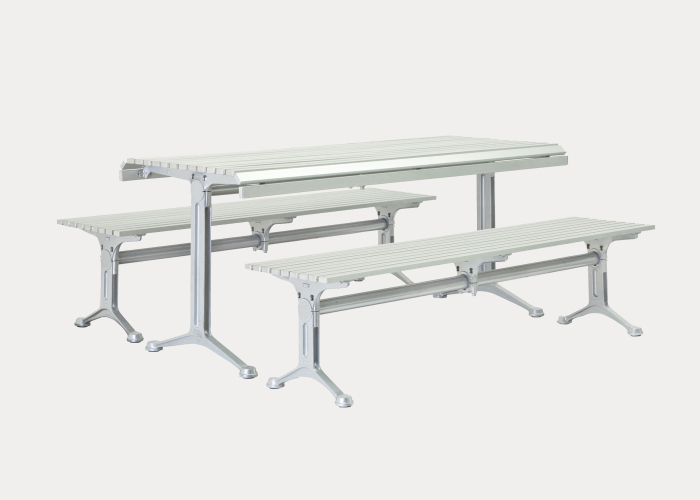 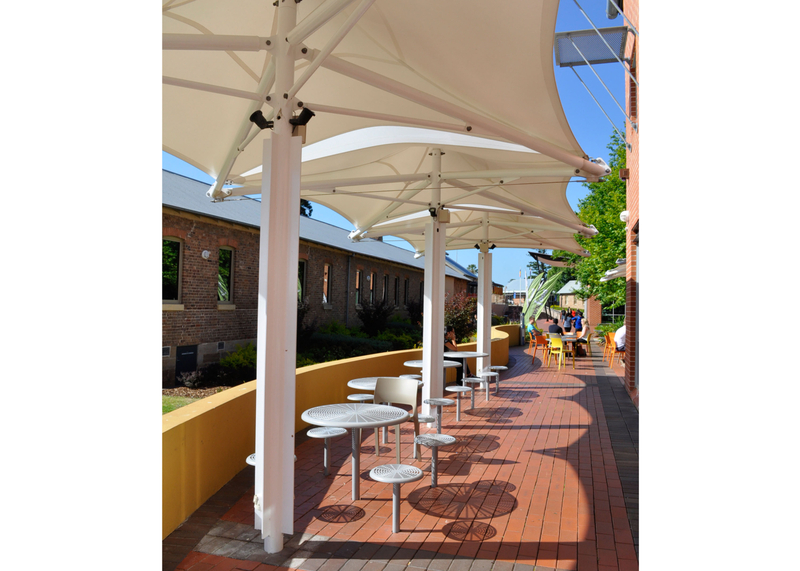 The all-cast structure is strong, durable and requires little maintenance.